Gold got off to a quiet start to the week on Monday, struggling to recover from the previous session\'s losses as investors worried over the timing of a U.S. interest rate hike. Gold got off to a quiet start to the week on Monday, struggling to recover from the previous session's losses as investors worried over the timing of a U.S. interest rate hike. Several Federal Reserve officials are scheduled to speak this week, keeping the focus of the bullion market firmly on U.S. monetary policy. Traders will also be closely monitoring economic data, including nonfarm payrolls data due on Friday, to gauge the strength of the economy. 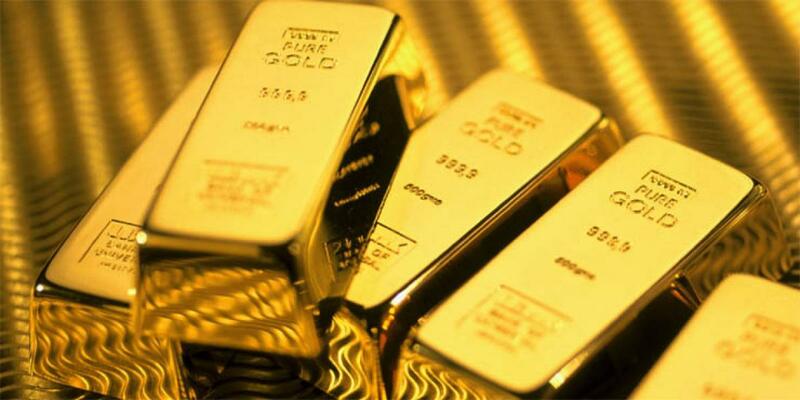 Spot gold was little changed at $1,145.10 an ounce by 0346 GMT. The metal had dropped 0.7 percent on Friday after Fed chair Janet Yellen said the U.S. central bank would begin to raise rates this year. "Gold will continue to track moves in the dollar, as it is very sensitive to U.S. monetary policy," said a precious metals trader. "With some major data coming in this week, we could see some volatility in prices." Gold had earlier benefited from ultra-low rates, but the non-interest-paying metal has lost about 3 percent this year on fears that demand could take a hit with higher rates. Data on Friday supported the view that the Fed could begin raising rates this year. U.S. gross domestic product rose at a 3.9 percent annual pace in the second quarter, up from 3.7 percent reported last month. The Fed has said the timing of a rate hike would be data dependent. "Interest around $1,141 should continue to support gold over the short-term, while $1,155 will provide resistance," said MKS Group trader Sam Laughlin. Earlier in the month, the Fed delayed a long-anticipated rise in U.S. rates, citing concerns over the global economy and improving investor sentiment towards gold. Holdings in SPDR Gold Trust, the world's top gold-backed exchange-traded fund, rose for a fourth straight session on Friday. Hedge funds and money managers raised their bullish bets in COMEX gold futures and in the week to Sept. 22, U.S. Commodity Futures Trading Commission data showed on Friday. Among other precious metals, platinum fell 0.4 percent to $939.85 on Monday, after posting its biggest weekly drop since July on Friday. The metal had fallen to a 6-1/2-year low last week on fears that the Volkswagen emissions scandal could dent demand for diesel cars, where it is used in catalysts. But there is a glimmer of hope for the metal with the prospect of tighter emissions legislation. Upcoming European legislation on CO2 emissions will make it harder for authorities to back a war on diesel.